Hong Kong-based manufacturer Manli has announced two new variants of the Nvidia GeForce GTX 1660 Ti graphics card. The Manli GeForce GTX 1660 Ti and Manli GeForce GTX 1660 Ti Gallardo both come with twin cooling fans and two composite copper heatpipes. The Gallardo variant of the card is overclockable. For those shopping for a new Nvidia GeForce GTX 1660 Ti graphics card, there are now a couple of more options to choose from, thanks to Manli (PDF). First up is the Manli GeForce GTX 1660 Ti that has all the GPU specs you would expect from the card (1536 CUDA cores, 6 GB GDDR6, 192-bit memory interface), and it clocks between 1500 MHz and 1770 MHz. 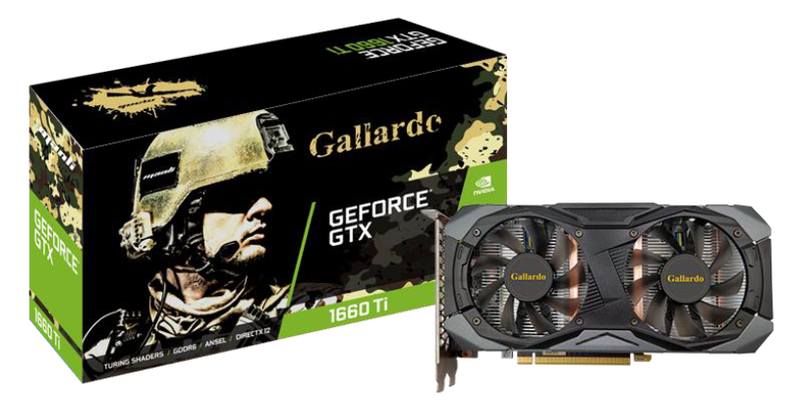 The Manli GeForce GTX 1660 Ti Gallardo model is aimed at those who want to squeeze a bit more juice out of their GPU. The overclockable graphics card also has a base clock of 1500 MHz but can be pushed to a boost clock of 1815 MHz if required. Manli’s cooling solution for both GTX 1660 Ti cards consists of the two cooling fans and the aforementioned copper heatpipes – a combination that aids with heat dissipation and should offer lower noise levels. A 4 + 2 phase digital power design has been utilized for the Nvidia AIB partner's cards. 7 March, 2019 – Manli Technology Group Limited, the major Graphics Cards, and other components manufacturer, today released the newest addition to the GeForce® GTX 1660 Ti family - Manli GeForce® GTX 1660 Ti with Twin Cooler and overclocking version. Manli GeForce® GTX 1660 Ti family is powered by the NVIDIA TuringTM architecture. It is built-in 1536 CUDA Cores, the world’s fastest memory, 6GB of GDDR6, and 192-bit memory controller. For the core frequency is at 1500MHz which can dynamically boost up to 1770MHz. Specially, Manli GeForce® GTX 1660 Ti Gallardo can overclock to 1815MHz. 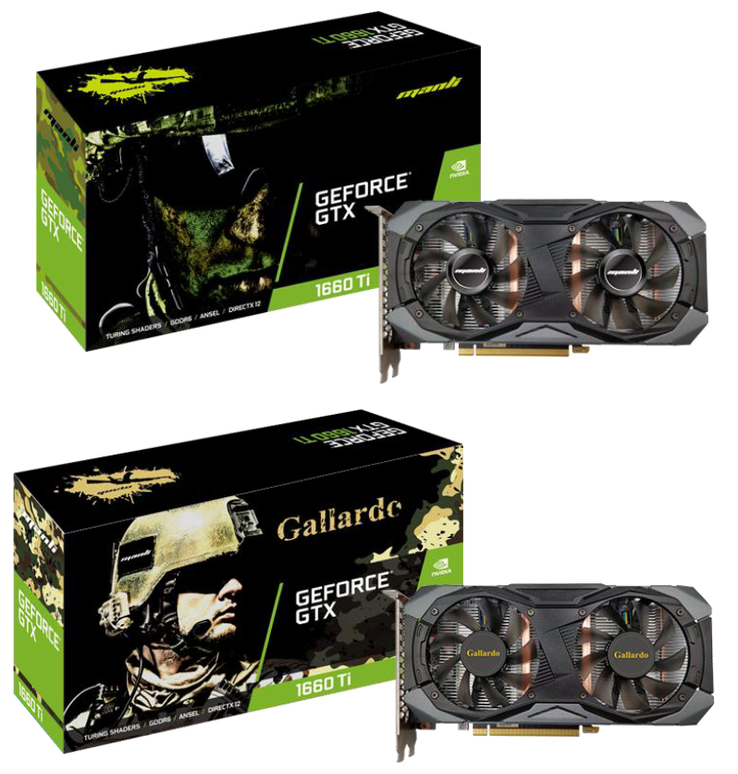 Manli GeForce® GTX 1660 Ti Gallardo and GTX 1660 Ti are both built with dual 8cm fan and two composite copper heatpipes which provide efficient heat dissipation and lower noise level. Furthermore, they both use 4 + 2 power phase design to provide more stable voltage and extend the life span.